The DVD programs offered here are designed for both the beginner and long time student, the techniques, posture control, and relaxation exercises work to strengthen the body and immune system. A very rare DVD release to the public of this ancient Tibetan Tai Chi. These movements stimulate both internal and external energy systems and provide a holistic connection between the mind and body through breath work and body movement. Practiced for centuries in Tibet and China, today’s Qi Gong was drawn from the accumulated wisdom and power of both Taoist and Buddhist disciplines. Qi Gong is the ancient art of training the mind to direct Ch’i or energy flow, throughout the body. This DVD is for both beginner and long time student, the techniques, posture control, and relaxation exercises work to cleanse and rejuvenate the body and immune system. Nei Gong is not as well known as Qi Gong or Tai Ch’i but allows equal benefits in a similar manner, stimulating Ch’i. This DVD is for both beginner and long time student, the techniques, posture control, and relaxation exercises work to cleanse and rejuvenate the body and immune system. This “Not Quite Enough Time” DVD combines Qi & Nei Gong, the arts of Ch’i or energy flow with meditation. These ancient, beneficial movements stimulate both internal and external energy systems and provide a holistic connection between the mind and body through breath work and body movement. For beginners and long time students, the techniques, posture control and relaxation exercises work to cleanse and rejuvenate the body and immune system. They reduce stress. They really work! This is it! 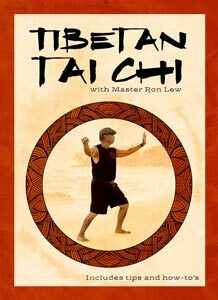 The “No Excuses” DVD combines Qi and Nei Gong, the ancient arts of training the mind to increase Ch’i or energy flow. For beginners and long time students, the techniques, posture control and relaxation exercises work to cleanse and rejuvenate the body and immune system. They reduce stress. They really work! Please note: This DVD is movement only, no meditation for those few times when you truly have less than 10 minutes and want to continue the healthful benefits of stimulating, gentle movements.